We recently wrote about vicariously liability of employers in relation to a breach of data protection. Our blog this week concerns another decision on vicariously liability, but on a very different issue: an assault on a work night out. Bellman v Northampton Recruitment Ltd concerned an employee who was assaulted by the managing director of the company, to his significant injury. The particular facts of the case were fairly important in the court reaching its decision. The company (NR) had hosted a Christmas party, attended by ten of its eleven employees and their partners. The company paid for food and drink, taxis and accommodation for a number of the employees at a nearby Hilton hotel. Following the Christmas party, a group of the attendees, including the managing director (a statutory director and shareholder) Mr Major, went on to the Hilton hotel for further drinks. Mr Bellman was one of the employees who stayed for additional drinks. At some point in the evening, conversation turned to work. The topic was raised of a new employee who was being paid more than the others. The conversation prompted Mr Major to ‘summon’ the employees present and effectively present a lecture regarding his authority, that he made the decisions and could do as he wanted. When Mr Bellman challenged a comment he made, Mr Major - being significantly intoxicated - lost control and punched Mr Bellman twice, despite others trying to restrain him. Mr Bellman was knocked unconscious and fell and hit his head. He suffered a fractured skull and brain haemorrhages which left him with brain damage, such that medical opinion was that he would never work again. At first instance, the court held that there was not a sufficient connection between Mr Major’s actions and his employment so as to make the company vicariously liable for his conduct in assaulting Mr Bellman. The Court of Appeal disagreed with this. They considered that there was a sufficient connection between Mr Major’s employment and his assault on Mr Bellman. The Court noted that it is necessary to consider the “field of activities” in a broad sense, to look at matters objectively, and consider the position in which the employer has placed the wrongdoer. It considered that, in the circumstances in this case, Mr Major was acting within the field of activities of his employment, given his position in the company, the discussion at the time of the assault had been about work related matters and Mr Major had sought to assert his managerial authority and lecture his employees. They therefore concluded that there was sufficient connection to make it just that the company was vicariously liable for his actions. This decision does not necessarily mean that an altercation on a night out with colleagues will always result in vicarious liability. This type of case tends to depend fairly heavily on the particular facts. It was significant in this case that Mr Major was in overall control of the company such that he was considered to be working at virtually all times. Further, the assault occurred at a point when he was wearing his ‘managerial hat’ and lecturing the employees regarding his authority over them. The judge at first instance specifically noted an example of colleagues who have met up to play a private game of golf. If one colleague punches another, even one who happens to be more junior than them, this would be unlikely to result in vicarious liability for their employer, as they had attended in a personal capacity as golfers and not as employees or in connection with their employment. The Court also took the view that the Christmas party in this case could be separated from the voluntary impromptu drinks thereafter, and it was the particular circumstances which meant that Mr Major was considered to still be acting in the course of his employment. This would tend to indicate that if there is an organised work night out and a number of employees go on thereafter to have impromptu further drinks or go to a nightclub, this would generally separate their actions at that time from the work night out, such that vicarious liability would no longer apply if there was a drunken altercation, although again the particular facts of the situation could have a bearing. This decision is worth bearing in mind as we approach Christmas party season. It should also be noted that this decision concerns the vicarious liability of the employer, not the ability of the employer to take disciplinary action against employees in respect of their actions towards colleagues outside of working hours. There are a number of documented cases in relation to misconduct at work related parties – which with the festive party season on our doorstep, our blog next week will focus on in more detail. 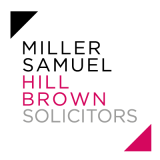 If you require assistance in drafting or revising any elements of your Staff Handbook, please get in touch with Miller Samuel Hill Brown’s team of Employment experts.